Our calf strap has a simple one-piece design with easy hook and loop closure and adjustment. Heavy durable neoprene material has bound edge for a clean finish. Slide-on pocket for convenient storage of cell phone or keys. Place panel behind legs for support. Manufactured by Therafin. 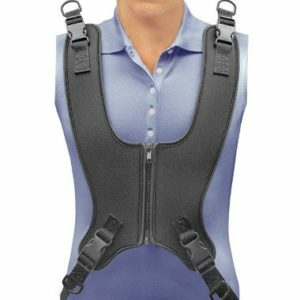 This Classic Value Stretch Zip-Up Zipper Wheelchair Vest has straps that go over the shoulder and hinged buckles that are located near the chair back. The flexible blended neoprene material can be hand washed and air dried. Available in 6 sizes. 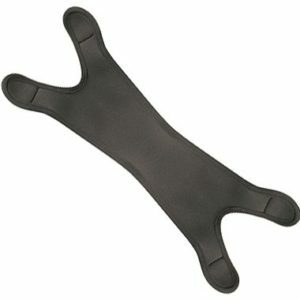 Stand behind user and pull finger loops to adjust top straps, and pull finger loops to adjust bottom straps. Hardware to attach to wheelchair is included. Manufactured by Therafin. 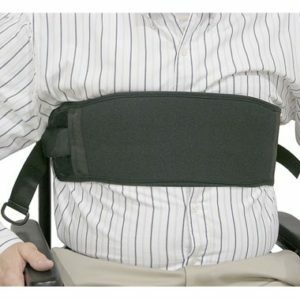 This Classic Value Stretch Wheelchair Vest has Extended Upper Straps that go over the shoulder and quick release buckles that are located near the chair back. The flexible blended neoprene material can be hand washed and air dried. 8 sizes available. 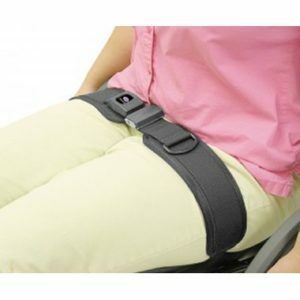 Padded Bariatric Hip Belts have a metal buckle with push button release, and the pads are attached to the straps. A single finger pull adjusts the belt to user. Hardware to attach to wheelchair is included. Manufactured by Therafin. 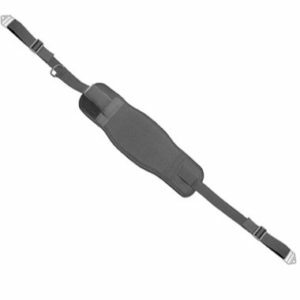 Padded Bariatric Hip Belts have 2″ straps and are 91″ long, fully extended without attaching hardware. The padded area dimensions are 11.25″L x 3″H. 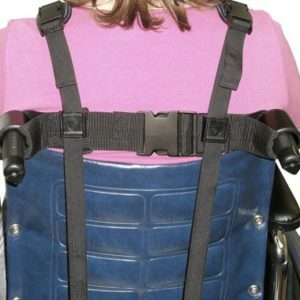 Our 1-piece Bariatric Stretch Wheelchair Chest Strap has a covered buckle, one adjustable strap and one sewn strap. Hardware to attach to wheelchair is included. Manufactured by Therafin. Bariatric Chest Strap lengths shown here are taken from end to end, fully extended, without attaching hardware. The padded area dimensions are also shown. Our calf strap has a simple one-piece design with easy hook and loop closure and adjustment. Heavy durable neoprene material has bound edge for a clean finish. Place panel behind legs for support. Manufactured by Therafin. 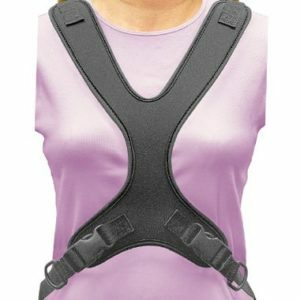 Classic Value Stretch Wheelchair Vest has Comfort Fit Straps, with Therafin’s no-sew buckles that resist tear-out. The flexible blended neoprene material can be hand washed and air dried. 8 sizes available. Hardware to attach to wheelchair is included. Manufactured by Therafin. 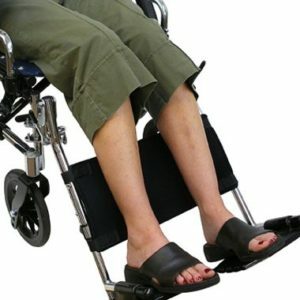 Simply adjust the width and slide it onto the push handles of a Sling Back wheelchair. 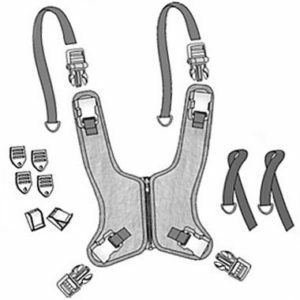 Position a vest (not included) on the user and place the shoulder straps into the cam locks. 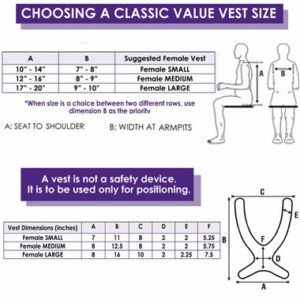 Works with vests that have 1″ straps, and fits’s 18″ to 20″ chairs. Manufactured by Therafin. 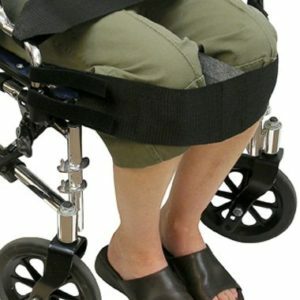 To help hold legs in position, hook and loop straps attach the Knee Strap to the wheelchair frame. A 4″x 4″x 2-1/4″ removable foam block fits between the knees. 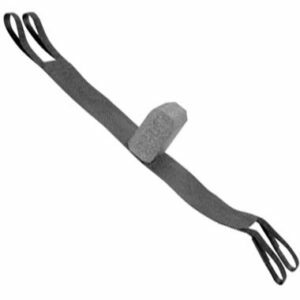 Foam block is held on with hook and loop material. 21″ x 4″ panel, and each end strap is 9″ long unfolded. Manufactured by Therafin. 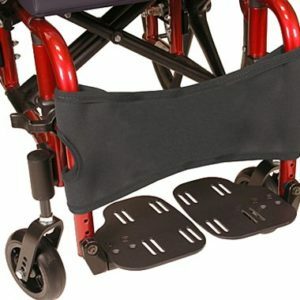 Hook and loop material holds the Calf Panel to the wheelchair frame. Place behind legs for support. Three panel sizes available, and each end strap is 9″ long unfolded. Manufactured by Therafin. 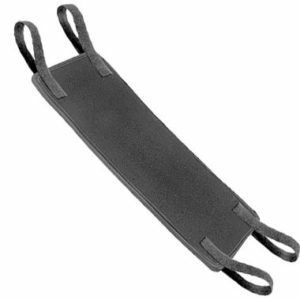 1 set replaces both plain straps on ONE Molded Shoe Holder (ankle strap and toe strap). Manufactured by Therafin.